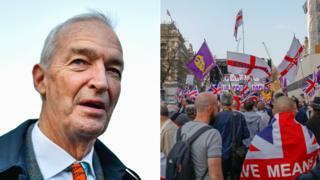 More than 2,000 people have complained after Channel 4 presenter Jon Snow said of a pro-Brexit rally that he had "never seen so many white people". Media watchdog Ofcom said it had received 2,025 complaints and was deciding whether to investigate. The Channel 4 News anchor made the comment when he was signing off from Friday evening's live bulletin. A spokeswoman said it was "an unscripted observation", and said Channel 4 News regretted any offence. Snow was speaking as pictures showed protesters in Westminster after MPs had rejected Prime Minister Theresa May's EU withdrawal agreement on the day the UK was due to leave the EU. Snow told viewers: "It's been the most extraordinary day. A day which has seen... I have never seen so many white people in one place, it's an extraordinary story. "There are people everywhere, there are crowds everywhere." An Ofcom spokeswoman said: "We are assessing these complaints against our broadcasting rules, but are yet to decide whether or not to investigate." The remarks drew criticism from some viewers who described the comments about "white people" as unnecessary. In a statement, a spokeswoman for Channel 4 News said: "This was an unscripted observation at the very end of a long week of fast-moving Brexit developments. 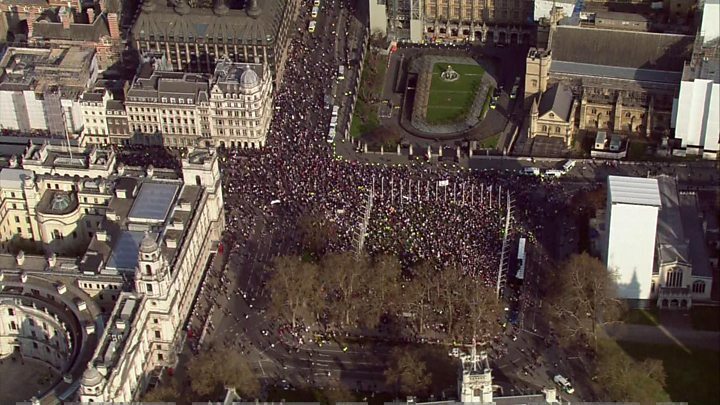 "Jon has covered major events such as this over a long career and this was a spontaneous comment reflecting his observation that, in a London demonstration of that size, ethnic minorities seemed to be significantly under-represented. "We regret any offence caused by his comment." The long-awaited report into Russian interference in the 2016 election has been released. Why no charge of obstruction of justice?